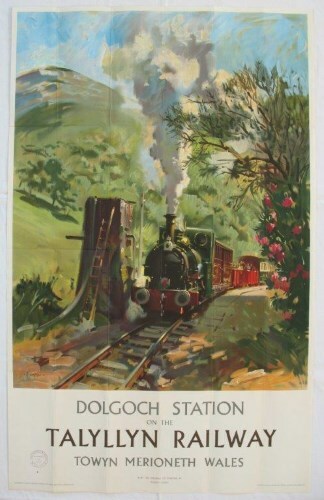 Lot 55 D/R Poster 1960s Talylln Railway "Dolgoch Station on the Talylln Railway" by Terence Cuneo. An atmospheric view of one of the narrow gauge trains. Very good folded condition, with official BR stamp bottom left.